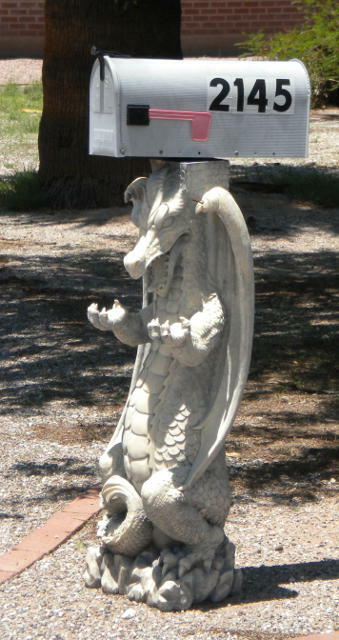 Speaking of David, I think he'd call this “Dragon Box” for the sculpture “post” under the plain vanilla mailbox. Or is that a dragon?? If you have another suggestion, please leave a comment below. I snapped this photo on July 4th.